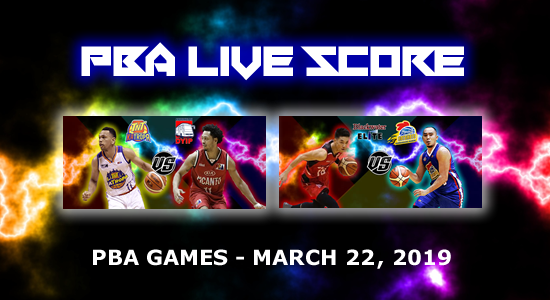 Here is the list of all the games' LIVE SCORES for TNT vs Columbian, Blackwater vs Magnolia matches. There is a total of 2 games to be played on March 22, 2019 First game starts at 4:30 PM while the second one is at 7:00 PM (GMT +8, Philippine Time). Please refer to LIVE SCORES below for more details.